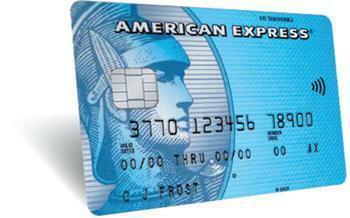 If you've got an American Express credit card in your wallet, you may have a new way to pay for things. Actually, two ways. The financial services company is rolling out Pay It Plan It, a mobile payment system that will work with eligible American Express accounts. Pay It allows cardholders to use their American Express App to immediately pay for smaller purchases, in full, with a single tap. Plan It allows users to set up monthly payments for purchases over $100, over 24 months at a fixed fee and no interest. Consumers can also continue to pay their bill each month the way they normally do, either in full or by making payments. Either way, they continue to rack up rewards and build credit. Matt Schulz, CreditCards.com's senior industry analyst, says the new payment system is highly transparent and credit card companies may soon be taking a cue from the retail banking industry. "This move is clearly geared toward Millennials who have been drawn to the simplicity and transparency of personal loans," Shultz said in an email to ConsumerAffairs. "Banks desperately want to have them as customers. If this move is successful in earning American Express more business from Millennials, you can bet that other big card issuers will follow suit." The big difference between the new payment system and a regular credit card is the difference between interest and a fee. Shultz says they may work out to being the same amount of money, but that's not the point. "Whether they pay a little more or a little less than they otherwise would, customers simply want to better understand what they're getting into," he said. Shultz says the Pay It feature may also be helpful in raising your credit score. By facilitating multiple payments within a cycle, you keep your credit utilization down, a key step in improving your credit rating. In fact, Kartik Mani, head of Global Consumer Lending at American Express, says the system was inspired by American Express members who like to make multiple payments throughout the month. The app, he says, just makes it easier.